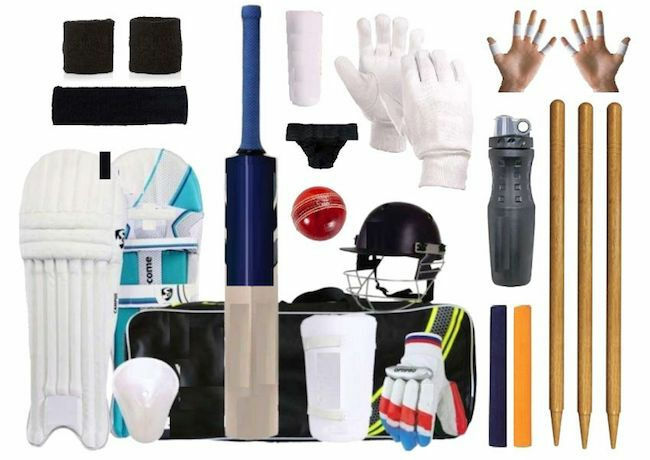 There are lots of cricket gear and equipment that you can buy online. Getting access to quality but cheap cricket products online have been made so much easier. Here is where you can find limited and the most awesome deals online. Save as much as 70% on selected cricket items at The Works, eBay, and other UK sellers. Check the Latest Deals site frequently to know about the latest offers and bargains. We have brought together the most excellent deals online so you can choose the best one to fit your budget. Get the best deals on cricket equipment, toys, and game tickets online! Cricket is a sports game that is played with a ball and bat. It is played between two teams. Eleven players are allowed to play at the 20-meter pitch with a wicket at each end. The bat side scores runs by hitting the ball that is bowled at the wicket with a bat. The other team which is the fielding and bowling side will try to prevent and knock out the player. Being dismissed include being bowled or when the ball hits the stumps and dislodges the balls. The opposing sides will try to dismiss each player on the opposing team. When all the ten players have been dismissed they will then switch roles. The game is officiated by three umpires. In international matches, the umpires are accompanied by a match referee. They communicate with the off-field scorers to record the statistical information of the match. There are various games that are played including Twenty20. This is played only for a few hours in which the teams play for single innings of 20 overs. Test matches, on the other hand, are played for five days with unlimited overs. The teams play for two innings of unlimited length of play. Traditionally, cricket players play in all-white, in limited overs they wear the team colours. The players are required to wear protective gear so that they will not get injured when they are hit by the ball. Cricket clothing and equipment is regulated by the laws of cricket. Cricket whites or flannels are loose fittings so that the players can move freely. The players also need to wear protective gear including gloves, pads, and helmets. Players are not allowed to play cricket if they do not wear any protective gear. Since the ball is hard and solid, it can easily cause harm if your body and the head are not well protected. Players also run in bursts with the full effort which can result in clashing and bumping which can cause bruising. Teams and players will be penalised if not wearing proper clothing and protective gear. Collared Shirt. They wear a collared shirt. The sleeves of the shirt will depend on personal preference or the climate. Long Trousers. Players need to wear trousers that are often white in colour. Jumper. This is a woolen pullover which is generally used as a vest but it is optional. Jockstrap with cup pocket. This is a protective cup which is inserted to the abdominal guard or box to protect the batsman’s sensitive parts. Abdominal guard. This is worn by the wicket keepers and batsmen. This is also called a cup, Abdo guard, or box. It is constructed from high-density plastic. It is also padded and inserted into the jockstrap. Cricket Cap, Sun Hats or Baseball Cap. This is added protection for the head. It can shield them from the heat of the sun if they are playing outdoors. It can also protect their head from the ball. Spiked Shoes. Players wear these types of shoes to increase traction so that they can run using their full effort without slipping. Helmet. This headgear often comes with a visor and is worn by fielders and batsmen to protect their heads. Thigh guard, arm guards, chest guard, and elbow guards. These are thickly padded guards to protect the body of the player from getting bruised. Gloves. This is worn by the wicket-keeper. It usually has webbing between the index fingers and the thumb. If you are looking for cheap cricket deals then you’ve come to the right place. Here at Latest Deals, we will provide you information about cricket clearance sales so that you can save money on your purchases. There are a ton of cheap cricket deals that you can take advantage of including cricket bags sale. Getting access to quality but cheap products online have been made so much easier. There are cheap cricket bags, Reebok cricket bats, Adidas cricket bags, cricket outfits, and more. Our deal hunters will share with you important information to help maximise your savings. Take advantage of the abundance of information that our community of deal hunters will share with you. It is also better if you check the cricket shop online so that you will be updated with the latest gears and products. Do not hesitate to hop during the end of season cricket sale. This is a great opportunity to find all the items that you are looking for and get discounts on product bundles. Get quality items with just a few clicks and you will definitely save a lot of money on your purchases. You can make use of exclusive offers and special discounts so that you can stick with your financial plans. From cricket shoe sale to cricket gloves sale, you’ll find a deal here suitable to your needs and budget. Don’t forget to use the latest cricket shoe sale voucher codes to save money on your purchases. There are countless products to choose from, depending on what you are looking for.